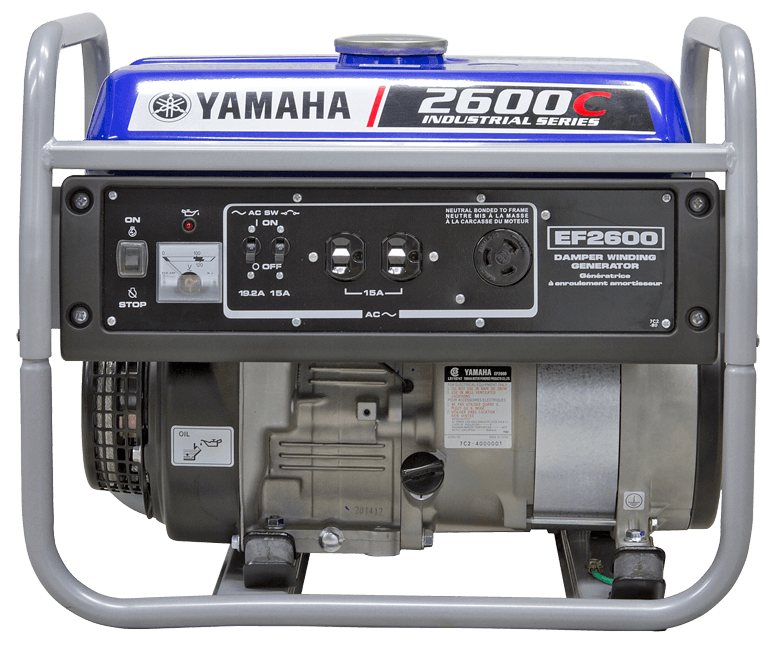 Rugged yet lightweight, the EF2600C features a new look and enhanced cold weather capabilities. 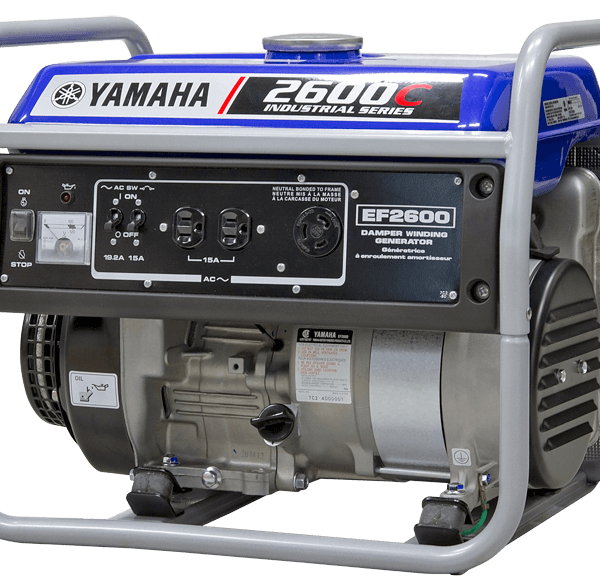 Featuring a “Damper Winding” alternator the EF2600C produces a cleaner sine wave than most conventional generators in its class. 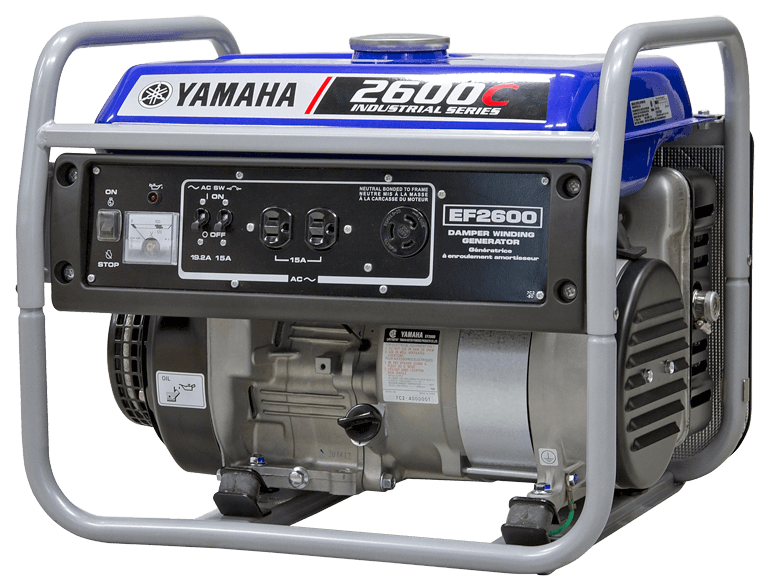 The EF2600C offers excellent value and Yamaha’s unquestioned reliability. Weighing in at only 44 kg (97 lb.) 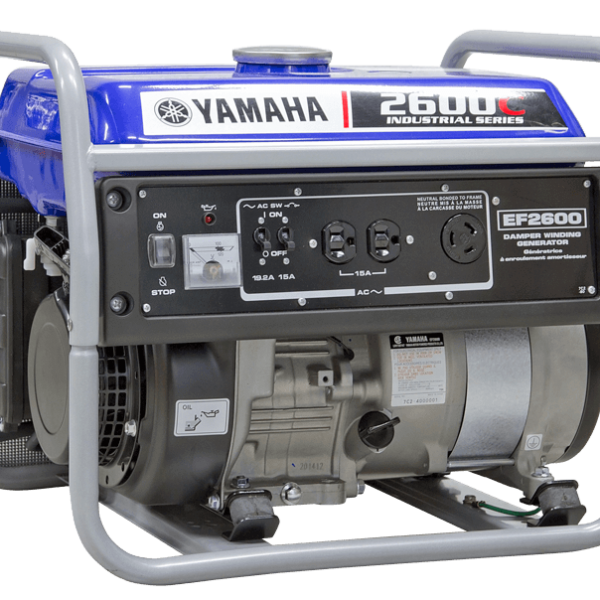 the EF2600C offers clean, convenient power for under $1,000 ! 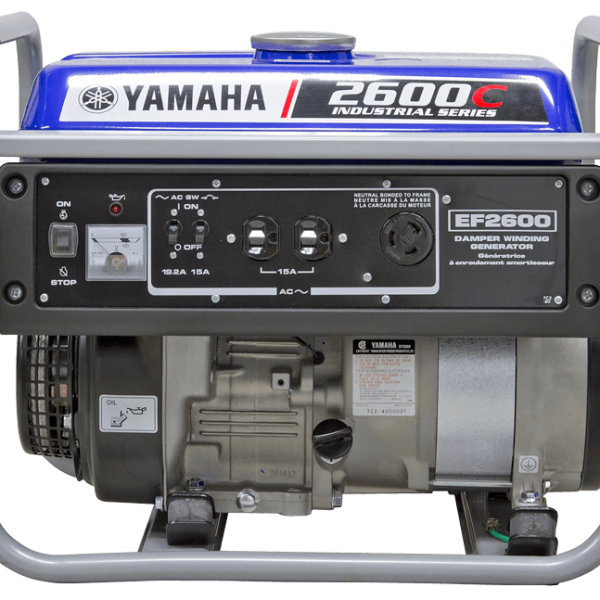 The EF2600C features a special cold weather protection plate for enhanced function during winter use. 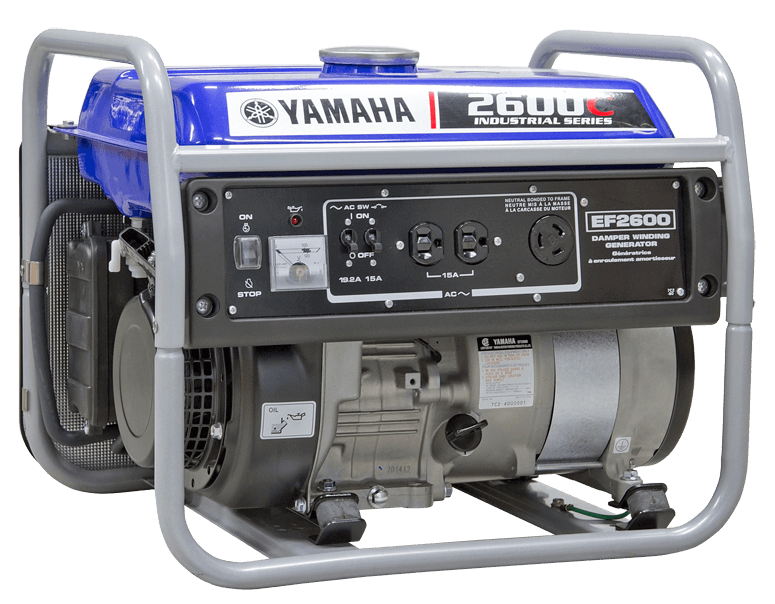 The Damper Winding alternator, found only on Yamaha generators, provides cleaner power for more sensitive electrical requirements. Powered by Yamaha’s MZ175; 171cc, air-cooled (with fan assist), OHV, 4-stroke, single with electronic transistor controlled (TC) ignition. Auto decompression system reduces engine compression to provide a light recoil starter pull for effortless manual starting. 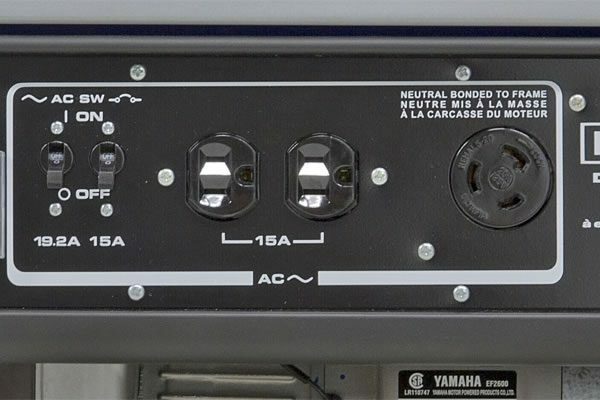 Yamaha’s Oil Watch Warning System automatically shuts off the engine when oil level is low and will not re-start until oil is added, preventing costly engine damage and enhancing long-term durability. Low oil warning light will illuminate on the front panel too. 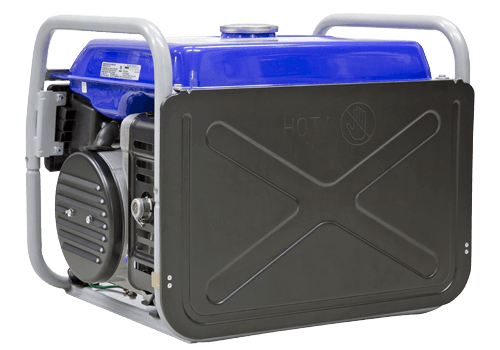 Easy access, washable foam air filter reduces maintenance costs. Damper Winding alternator reduces wave form distortion for “cleaner” power (power is almost as clean as an inverter). 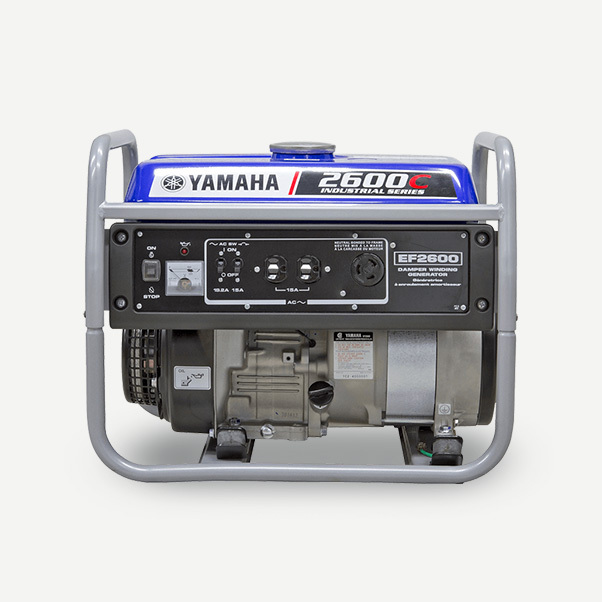 Rated AC output for continuous use is 2,300 watts / 19.2 amps. Neutral is bonded to frame. AC volt meter provides easy to read voltage output. Large fuel fill hole for easy filling. Fuel gauge is standard. CSA approved (Canadian Standards Association).